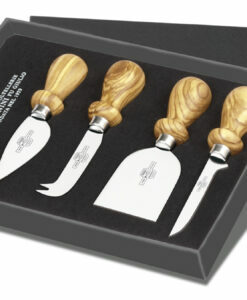 The Lamami Cheese, Honey and Nut Set includes a hard cheese knife, a honey spoon and a nutcracker. 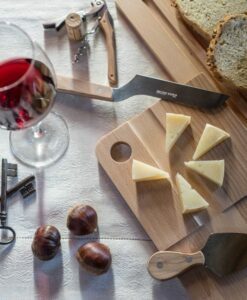 The Lamami Cheese, Honey and Walnuts Set belongs to the Lamami “Food Natura” collection characterized by olive wood handles, stainless steel AISI 440 blades and stainless steel rivets. 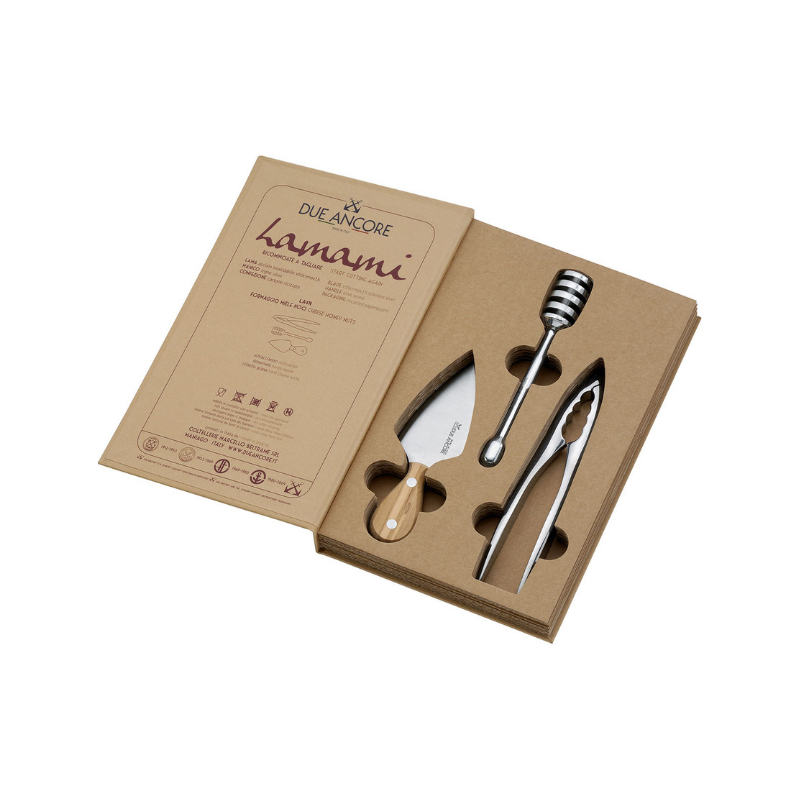 This special cutlery set is made of one hard cheese knife, one honey spoon and one nutcracker from Italian handicraft and enclosed in an eco-friendly box for easy storage. 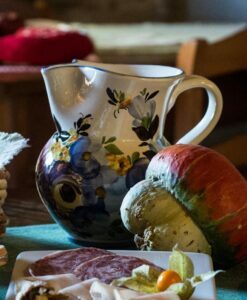 This set is perfect for the pleasure to stay at home; Autumn food such as honey, nuts and cheese are a classic mix proposal. 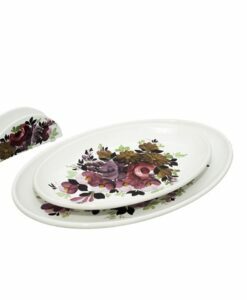 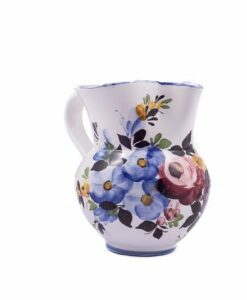 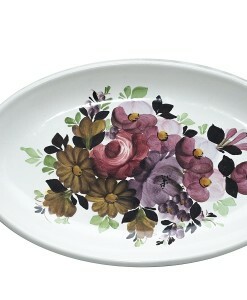 The set is also ideal for a special occasion, for a wedding present or a Christmas gift. 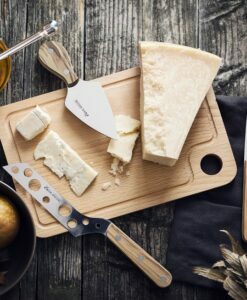 Cheese blade length of 8 cm / 3″. 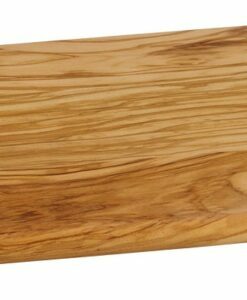 It is best to clean the product by hand and dry it immediately with a cloth, for the proper care of the wood; we do not recommend cleaning it in a dishwasher. 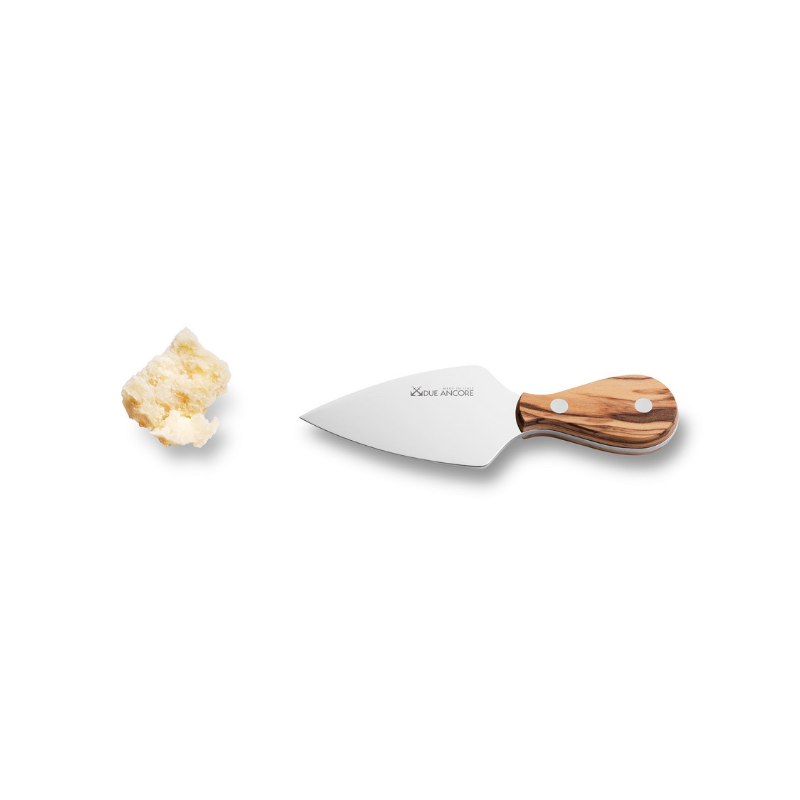 The product is supplied in packaging made of recycled cardboard and which is 100% recyclable, designed to protect the knives and store them after use, dimension: 26 x 17 x 4 cm. Coltellerie Marcello Beltrame presents Lamami, an innovative and high profile range of knives designed to rediscover the love for the cutting and the joy to share a flavor; the name Lamami, in fact, is the combination of the two Italian words “Lama” (blade) and “Amami” (love me). 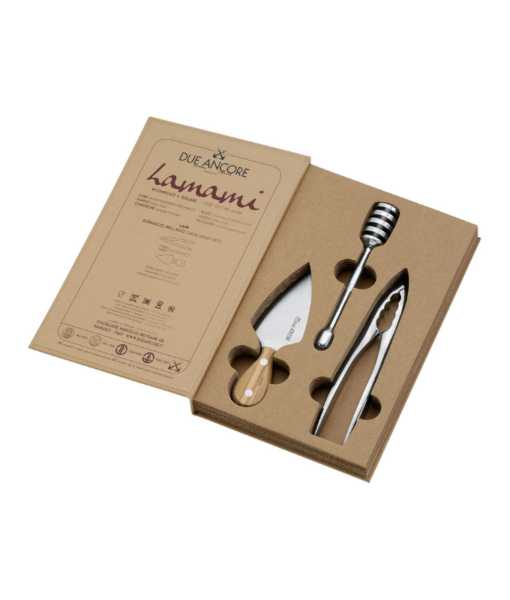 The innovative and elegant Lamami line comprises various high quality pieces, related by their scope of use, and tied to an original concept, that of the “book” in which the tools can be kept after use and can be taken to different places. 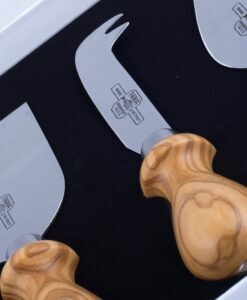 The knives are hand crafted with the highest quality materials: blades are made of Molybdenum Vanadium stainless steel, which ensures optimum cutting-edge hold and an excellent cutting quality. 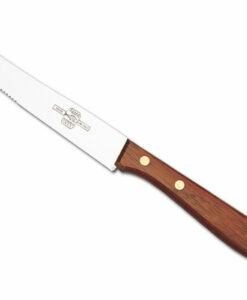 The rivets, also made in stainless steel, are much resistant compared the others in aluminium. 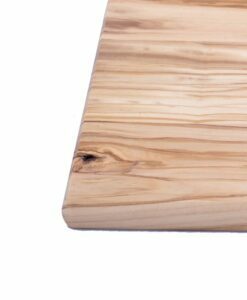 The book, made of upcycled material, matches our eco-friendly vision with its capacity of protecting and storageing the knives, without any risk of damaging the blades. 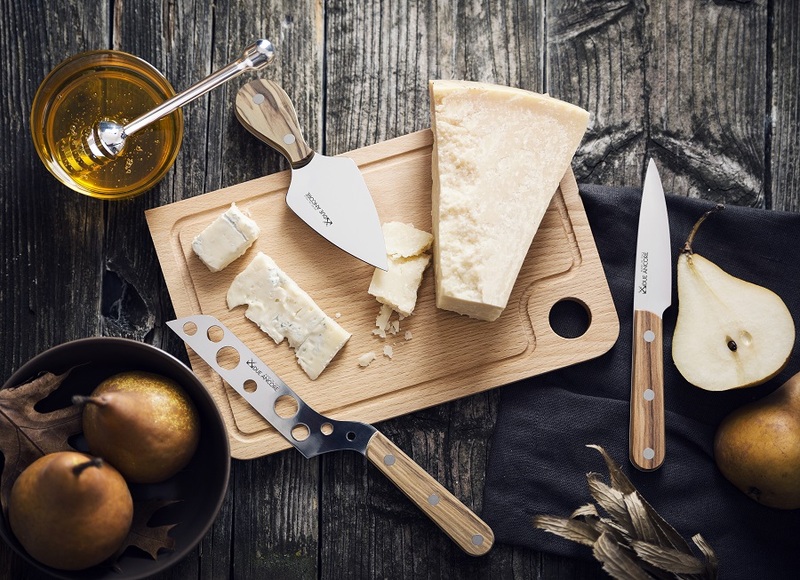 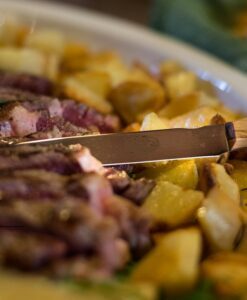 The Coltellerie Marcello Beltrame is a historic Italian knife maker dating back to the end of the 1800s; later, in the first half of the 1900s, become the most important company of Maniago, producing professional cutlery, and articles for the agricultural and construction sectors. 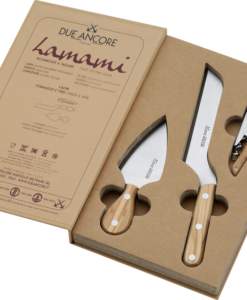 Following the changes of the last few decades, the company undertook a profound change of the brand, and in 2012 the Lamami line was born, envisaged and designed by current owner Andrea Girolami, to renew the target market by focusing on the recovery of the craftsmanship, and blending this with the search for innovative and environmentally sustainable materials.